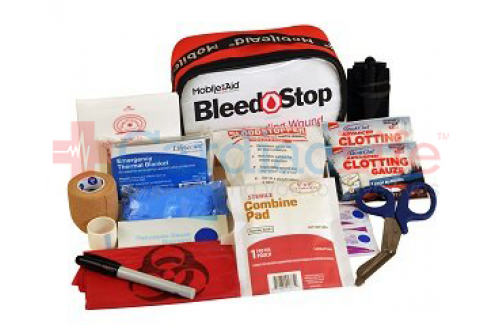 The Bleedstop Single 200 IR Bleeding Wound Trauma First Aid Kit product allows you to stop severe bleeding fast with comprehensive bleeding wound trauma first aid supplies. 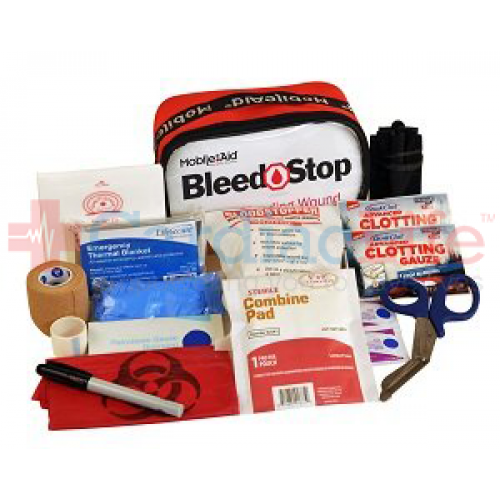 1 ABD combine pad 5" x 9"
1 Self-adherent wrap 2" x 5 yd. Dimensions: 7.5" x 4" x 3.5"